Close friends Frances, Lisa, and Jill all yearn for the perfect life that Emma Dunham appears to have made for herself and her family. But when Emma's enviable life is cut short at the hands of her husband, the friends are all faced with the reality that their idea of the perfect life is never really what it appears to be, making them to come to terms with their own secrets in order to move forward. This discussion is free and open to the public. Those wishing to get books signed will be asked to purchase at least one copy of More Like Her from Vroman's for every 3 books they bring from home. Save your Vroman's receipt; it will be checked when you enter the signing line. Liza Palmer is a LibraryThing Author, an author who lists their personal library on LibraryThing. Liza Palmer's book Girl Before a Mirror was available from LibraryThing Early Reviewers. Liza Palmer's book More Like Her was available from LibraryThing Early Reviewers. Liza Palmer's book A Field Guide to Burying Your Parents was available from LibraryThing Early Reviewers. 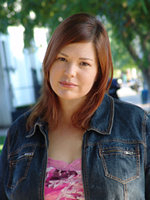 Liza Palmer is currently considered a "single author." If one or more works are by a distinct, homonymous authors, go ahead and split the author. Liza Palmer is composed of 2 names. You can examine and separate out names.